Many people enjoy steak. However, not every person understands exactly how to properly select or cook a steak. When looking to buy the best steak, the consumer is flooded with a huge number of steak options. It is enough to make even the most basic shopping trip confusing! Actually, just remember there are two main factors to consider when choosing the best steak. The first one is the grade, which refers to the quality of the steak based on its age and marbling. The second factor is the cut of the steak, or where on the animal it came from. The right cut of the steak can mean the difference between a great or subpar meal. The more a particular muscle is used during a steer’s lifetime, the less tender a steak from that particular muscle will be. Conversely, the less a given muscle is used, the tenderer it will be. For example, the loin or backstrap cut will be tenderer than a chuck or round steak, since it is used far less during the steer’s life. As a result, a loin or backstrap cut will be ideal portion of muscle for a steak. 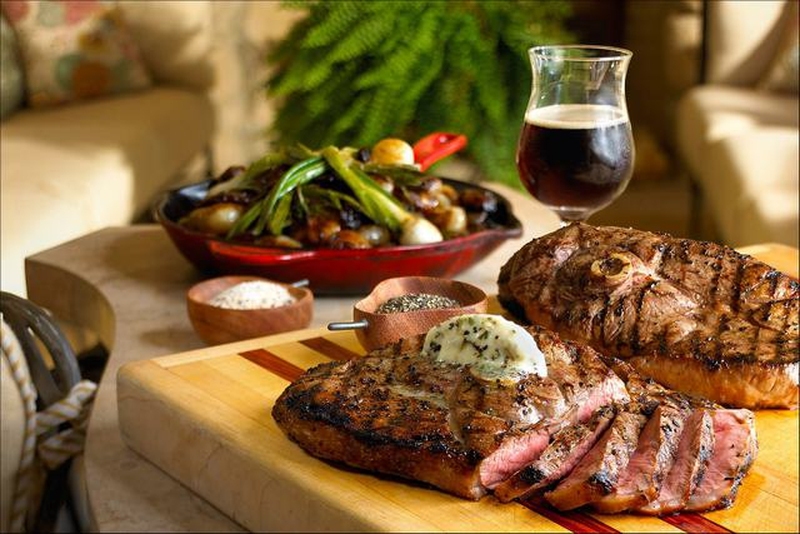 The below section discusses the top five best steak cuts every steak lover should know. Where It's Cut From: The front part of the longissimus dorsi muscle that exists between ribs 6 and 12. It can also include spinalis muscle, depending on how far along the ribcage towards the head the cut is. What It Tastes Like: Considered by many to be the best cut of steak, it is extremely flavorful with a high degree of marbling and a large section of fat. The rib eye is one of the richest, beefiest cuts available for making steaks. The longissimus dorsi muscle will have a smooth grain while the spinalis section will have more fat and looser grain. Where It's Cut From: The psoas major muscle, which is located around the kidney area. What It Tastes Like: Very tender with a slightly buttery texture. However, it is very low in fat, which means it will be less juicy and have fewer flavors. Therefore, unless you specifically desire a cut that is low in fat or desire tenderness over any other quality in a steak, another type of cut may be more suitable for a steak. Where It's Cut From: The longissimus dorsi muscle, which is located just behind the ribs. What It Tastes Like: Moderately tender of muscle grain and texture. However, it has relatively good marbling for more flavors. It is not as bold tasting as rib eye, but with fewer fat pockets, it is easy to trim and cook. As a result, it is a common cut served in steakhouses. Where It's Cut From: The T-bone cut consists of two cuts: one part of it is tenderloin and the other part strip. Each cut is separated by the T-shaped bone, hence the name of this cut. T-bone steaks are cut from the front end of the short loan primal, but only contain a small portion of tenderloin. What It Tastes Like: The tenderloin cut tastes like tenderloin while the strip cut tastes like strip. Where It's Cut From: The porterhouse and T-bone are essentially the same cut of steak. And it is usually referred to "king of the T-bone." However, a porterhouse cut contains more tenderloin than the T-bone cut. Porterhouse cuts are from the rear end of the short loin. What It Tastes Like: Like the T-bone, it has two cuts of steak that taste like their respective cuts: the tenderloin cut tastes like tenderloin while the strip cut tastes like strip. Generally, porterhouse steaks are very large, being at least 20 ounces or more. As a result, it is the perfect steak to share with other dinner guests. Now that you have a basic understanding of the five top steak cuts, here are some recipes to try and take advantage of your newfound knowledge. These will be some of the best steaks you have ever had. Combine all ingredients into a bowl (except the steaks) and mix together to create a wet rub. Apply the wet rub generously to both sides of each steak, allowing the steaks to sit for at least two minutes. Place steaks on a cooking surface on medium-high heat for approximately two minutes per side. After each side has been grilled for two minutes, reduce heat to medium and continue grilling each steak for another 10-15 minutes until they reach the desired level of doneness. Combine black pepper, white pepper, sea salt flakes and chili powder into a bowl to create the dry rub. Apply the dry rub liberally to each side of the steaks. Lower the heat to medium, then continue cooking the steaks for another 5-7 minutes or until they have reached the desired level of doneness.